Sunshine in a bottle for a golden, year-round glow. 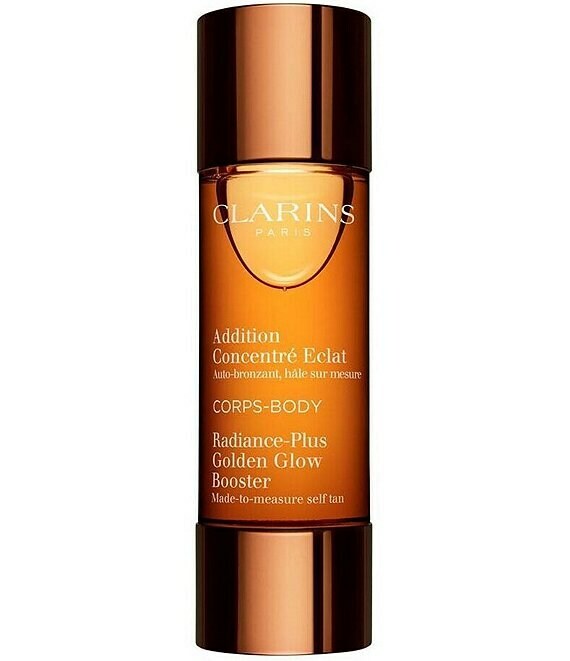 Clarins adjustable self-tanning innovation creates an even, made-to-measure self tan that builds gradually. Fades naturally just like a real tan. Just 4-6 drops mixed with your body moisturizer, and you're golden! Winner of Glamour magazine's '2019 Beauty Award' for Best Self Tanner.